Along the northern shores of the eastern Pacific Ocean from Northern California all the way across the Bering Straits to Russia, salmon has been a major commercial fish; one of the reliable commodities in supermarkets whether farmed-raised or wild-caught. And much has been done to try to maintain supply with the development of hatchery-raised fish that are re-introduced into the wild, maintaining catch levels of wild-caught salmon, and totally-farmed-raised fish. However, stocks of wild salmon continue to decline as they have been for decades. And it seems that many of the measures taken to supposedly support wild stocks of salmon may actually be having a negative effect. 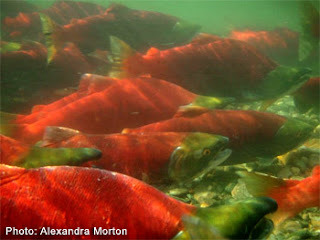 Over the years there have ups and downs in the population of salmon species such as pink salmon or sockeye salmon. Sometimes these shifts have been radical from one season to another, much like a freakishly cold or wet winter or a blazing summer. In 2002 there was a population crash of wild pink salmon that was initially blamed on parasites picked up from farm- or hatchery-raised salmon. While those manipulated stocks certainly contained a higher percentage of parasites called sea lice, one of the many challenges facing confined breeding, later studies proved that was not the root cause. Pink salmon reproduce every other year, so each year's new juvenile population genetically different from the proceeding year. A marked drop in numbers did not correlate with the studied prevalence of sea lice; it was out of sync with the reproductive calendar. The study concluded that a variety of factors are most likely at work, rather than one "smoking gun." "The major lesson of this study is that we cannot settle for simple explanations for wild-animal population declines. There are very complex interactions among disease, environment and animal population health. 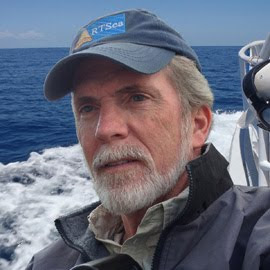 Sustainability studies must engage all the science specialties to pursue a better understanding of these relationships," said Gary Marty, lead author of the study and, at the time, research associate at UC Davis' School of Veterinary Medicine. Now move the clock forward and, in 2010, a study examined the potential catastrophe that could lie ahead for various wild salmon species stocks that had seen increases in their numbers but was being attributed to the influx of hatchery-raised salmon - salmon raised in open water hatcheries and eventually reintroduced into the wild. The increase in pink, chum, and sockeye salmon hatchery fish has the potential for putting wild salmon at risk because they become more prolific - having been sheltered and protected from nature's trials and tribulations of surviving as a juvenile. The latest concern for Pacific salmon stocks comes from San Francisco University where researchers were studying the 20-year decline of sockeye salmon. Again, it is believed that several factors are at work, not just one. Open water pink salmon farms, placed along none sockeye salmon migratory routes could be playing a role, exposing the salmon to various parasites, viruses, and bacteria - again, one of the great challenges facing aquafarming is the overall quality of life found in confined living conditions. While the confined fish can be treated with medicines, the offending bacteria and parasites are free to travel through the farm nets and into open water, into the path of migrating wild sockeye salmon. Combine that with the effect of competition for food with hatchery-raised pink salmon and increases in ocean temperatures due to climate change, which can adversely affect wild juveniles, and you have three likely contributors to the decline of sockeye salmon according to the study. “Although none of these three factors can explain much of the declines in sockeye salmon by themselves, when considered in combination they appear to play a very important role,” said Brendan Connors, lead author and member of SFU's School of Resource and Environmental Management. “Salmon migrate thousands of kilometres at sea and they obviously do not respect international borders. Our results highlight the need for countries across the North Pacific Rim to manage limited salmon resources at an oceanic scale," said Doug Braun, co-author and doctoral student at SFU' Earth to Ocean Research Group. 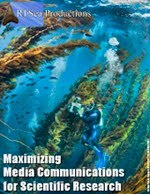 While various forms of aquafarming and fisheries management will play an increasingly important role in both preserving marine biodiversity and providing seafood for a growing population, it is critical that governments examine their actions carefully so as not to upset nature's balance. Easy to say, but as research is proving, it is much more difficult to accomplish due to the multitude of competing factors that make up the complex web of a healthy marine ecosystem. Really enjoyed your blog. More power to you!